Most needleworkers have heard of Erica Wilson. 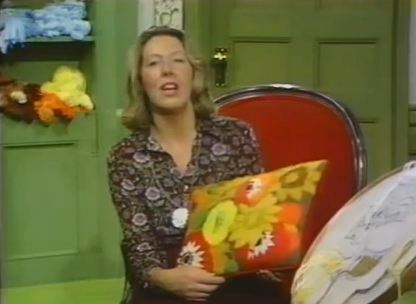 If you are old enough you may have some of her books or have seen her TV show. Erica was immensely important in popularizing needlework of all kinds in the US. Her family recently donated many of her pieces to the Winterthur Museum. In their blog the have an article about Erica. Although many of the pictures are of her lovely crewelwork, it has a short but excellent biography and lovely pictures of her work. Plus you’ll learn about where to watch her TV show and about an upcoming exhibit that will have some of her pieces on display.